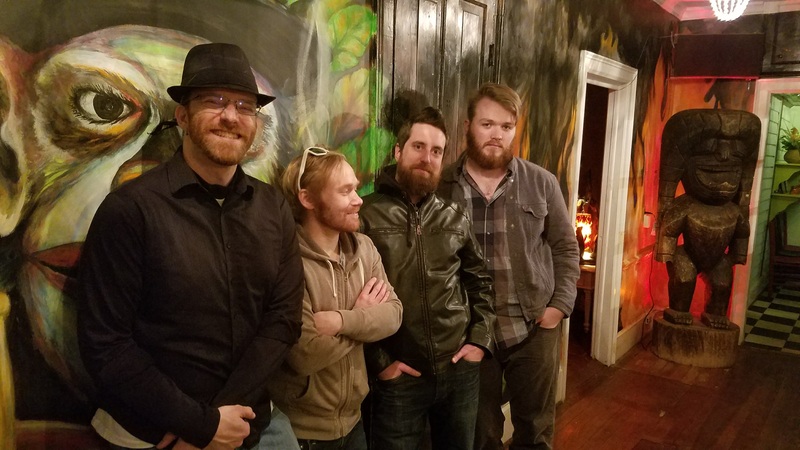 The Forgotten Man is a rock n’ roll outfit based out of Raleigh, NC, which has drawn comparisons to bands such as The Replacements, Modest Mouse, Marmaduke Duke, and Ramshackle Glory. The Forgotten Man’s material is composed primarily by front man Wilson Getchell and draws from numerous genres including punk, folk, country, grunge, electronica and doo-wop. The band’s songs are about success, failure, personal interactions, love, hate, friends, enemies, and alcohol. The songs are both impassioned and sardonic; comical and foreboding. Getchell’s lyrics juxtapose the profound with the inane, using humor as a tool to provide insight into the world around us. Morever, when people hear The Forgotten Man’s music, they tend to “get down”. It’s a whole lot of fun. The Forgotten Man appear on WXRY Unsigned on Sunday, February 12, 2017 broadcasting LIVE from The British Bulldog Pub at 8PM. Posted on February 9, 2017, in News and Announcements and tagged NC, North Carolina, Raleigh, The British Bulldog Pub, The Forgotten Man, WXRY, WXRY Unsigned. Bookmark the permalink. Leave a comment.